Here is where you can see Nicole's online portfolio. Here is where you can learn about M. Nicole van Dam, read her blogs, learn about her pets, updates and community service. Here is where you can learn about Nicole's music. 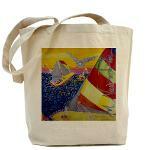 Here is where you can find Limited Editions, Scarves, Boots, Books and other of Nicole's Creations. More designs on the way - please keep coming back! Thank you for supporting Nicole's art! 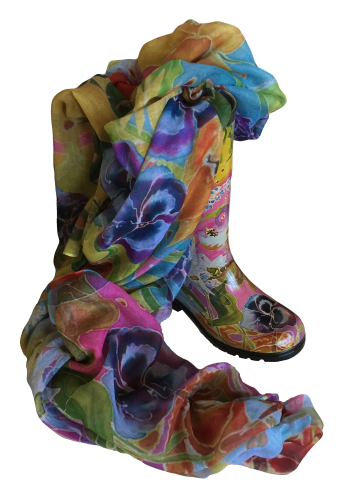 Here is where you can find M. Nicole van Dam umbrellas to match Nicole's wonderful boots and scarves! More designs on the way - please keep coming back! Thank you for supporting Nicole's art! You can learn more about Nicole at www.Nicole.bz. and see her online portfolio at www.NicolevanDam.com. To find Nicole's Limited Editions and main shopping page, please visit www.Create.bz. If you are interested in purchasing an original artwork or commissioning a work, please contact Nicole. It's fun to live with Art that is beautifully useful! If you're looking for T-shirts, Tote Bags, Mugs, and other types of things, this is the link for you! 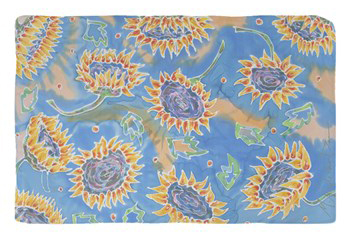 Buy and Collect Nicole's totally artsy, colorfully Impressionist Scarves! Collect Nicole's Beautiful Scarves Designs! 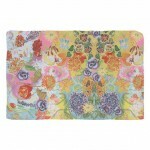 Nicole's creations are available in many stores and places on the web and are made by various manufacturers. The items you buy on this site as well as on Amazon and elsewhere are not signed personally by Nicole, but instead are shipped directly to you by the seller (not Nicole). Only the Limited Editions are sold directly by Nicole, everything else is sold by third party retailers and manufacturers, but you can still get these items signed by Nicole (See below for details). If you are interested in purchasing something you don't see here, or would like to request a signature on something you have already purchased, please feel free to contact us. I'm always happy to sign books and things with my art for you (if practical - some things simply cannot be signed, but I can write a separate note for you, and some things, like the boots, are sold with collector cards that I can sign for you). If you would like for me to sign something (and write a personal note to someone), I'll be happy to do that, please contact me for details. The process entails your shipping your items to me, in a box with the following things: (1) legible instructions giving me the name(s) you want included on the note and something about each person (helps me write the personal notes); and (2) everything I will need to ship the items back to you (i.e., postage pre-paid packaging addressed to you). Please make sure you give me enough time! Especially in the holiday season! This site contains the valuable intellectual property of M. Nicole van Dam. Without limiting the generality of the foregoing, M. Nicole van Dam and Artimagination are respectively federally registered trademarks owned by M. Nicole van Dam, and the contents of this site, including each artwork, each artwork element, title, storyline, book, character, poetry and text, are each respectively TM and (c) 1999-2015 M. Nicole van Dam. All Rights Reserved. Similarly, the artwork on this site, including also the look and feel and style of the artwork and individual elements within the artwork, constitutes the valuable trade dress of M. Nicole van Dam. No contents of this site or any artwork or writing on this site may be reproduced without the express written consent of M. Nicole van Dam. To request such consent or to license the artwork or other contents of this site, please contact M. Nicole van Dam.